Notes: Bergamot, Orange Blossom, White Flower, Musk, Leather, Wood. 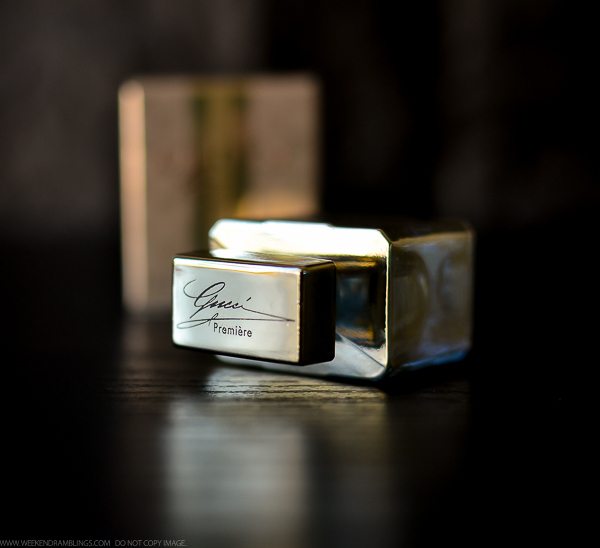 Gucci Premiere is one of my all-time favorite fragrances. 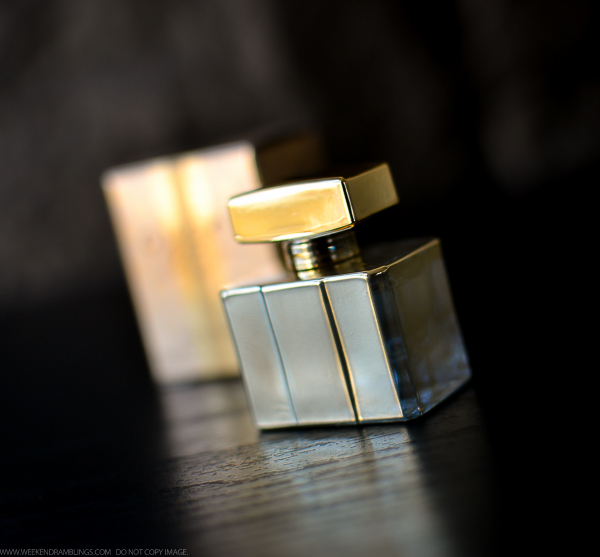 The bottle (mine is a mini GWP version) has a gold-gossamer effect that truly reflects the gowns its inspired by. 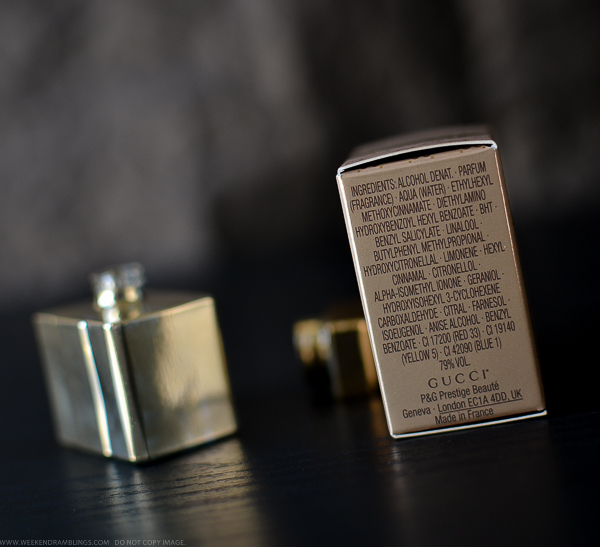 The fragrance captures the essence of vintage and luxury with it's rich warm notes. Light floral notes from orange blossoms blend seamlessly with spicy notes from the bergamot. 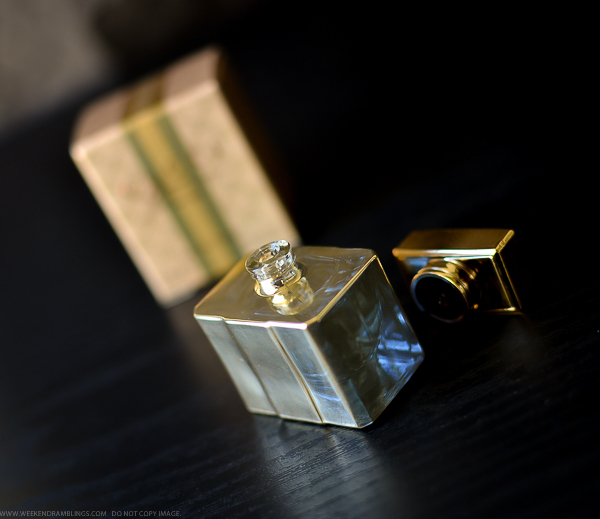 The base notes are a mix of musk, leather, and wood all of which make for a well-rounded fragrance. I find this the perfect perfume for the cooler nights and the fall/winter months, though, honestly, I like this so much I would wear it all through the year whenever I can get away with a stronger perfume. The perfume lasts forever on my skin, so that's another bonus. A fabulous pick for someone who prefers a more grown-up fragrance and loves a bit of luxury.